Summary: Dean is poison. He knows this, and his brother and angel must agree as they let him drive away in the dark of the night. Tired and emotionally drained, Dean drives with no destination in mind other than somewhere far away from people he doesn’t want to hurt anymore. He may not have a destination in mind, but a destination has picked him. A destination in the form of a magical pull, a surprisingly docile brown bear, and an offer of a future as one of the very things he has hunted his whole life. Artist Notes: I found to that Dean and Benny was an interesting pairing and stumbled across the Dean/Benny Big Bang on Tumblr. 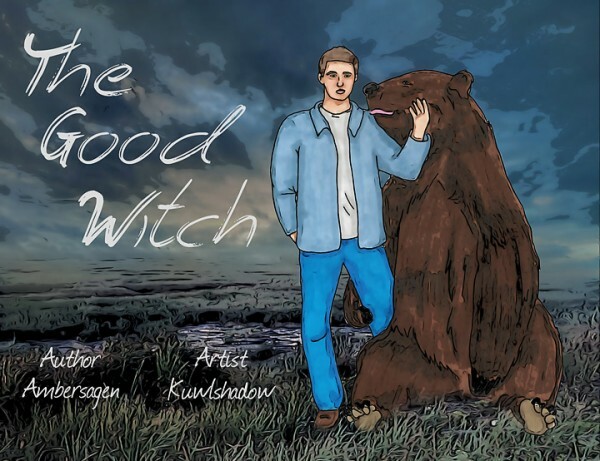 The Good Witch was one of the stories I picked up and, I really enjoyed the story that Ambersagen had written. I had a lot of fun creating this illustration for her. And kudos to the mods of this bang as well.